Malcolm Bradbury (1932-2000) was Professor at the University of East Anglia’s former School of English and American Studies (EAS) from 1970-1994. He co-founded (with Angus Wilson) and later directed the MA course in Creative Writing. Bradbury was a prolific writer of novels, short stories, literary criticism and television plays and series. He is probably best known for his fictional work The History Man (1975). 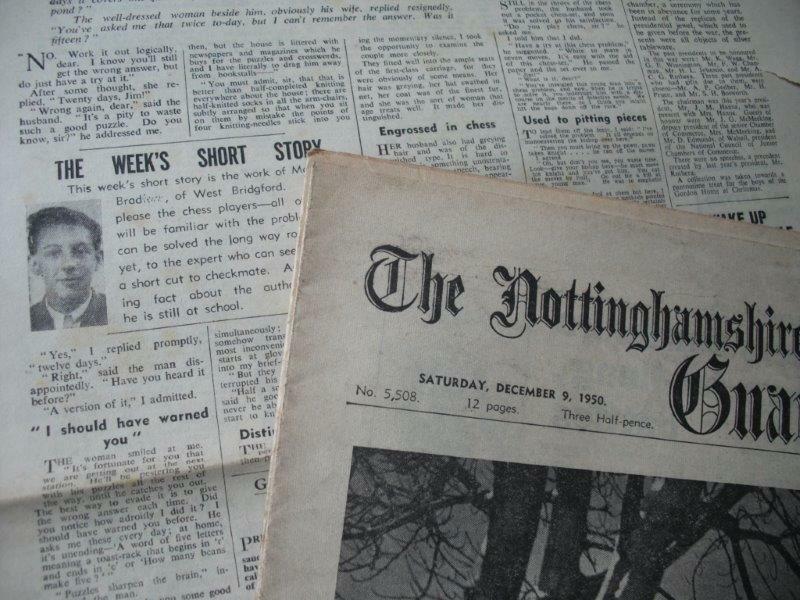 Now his son, Dominic, has added to his father’s existing papers by depositing hundreds of newspaper cuttings and magazine articles which span Bradbury’s writing career, beginning with his schoolboy writings in the Nottinghamshire Guardian in 1949. Humorous sketches in Punch give way to interviews on provincial identity and the perils of writing. In addition to writing original television series (The Gravy Train and Doctor Criminale), Bradbury adapted the work of other writers such as Tom Sharpe, Alison Lurie, Colin Watson, David Storey and Kingsley Amis, and contributed episodes to popular British television crime series including A Touch of Frost, Dalziel and Pascoe, and Kavanagh QC.